​You may think about dance parties when you hear the words strobe light, but they’re gaining traction in the running world as well. 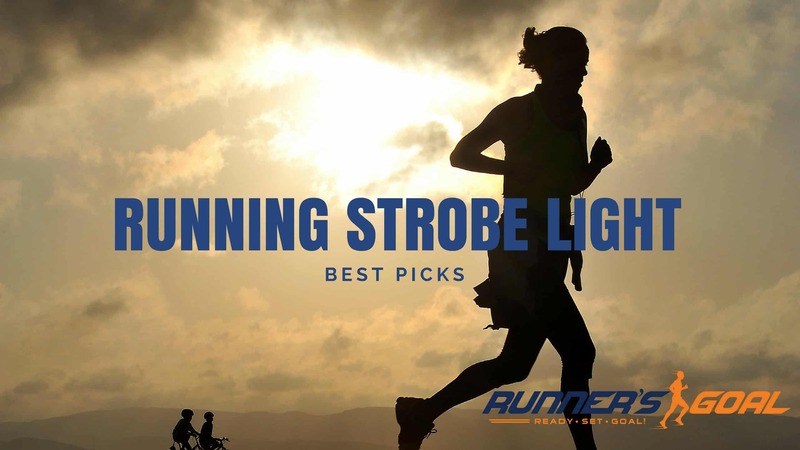 If you want to know how finding the best running strobe light can help you with your running goals, keep reading to learn more about them and see our top picks. 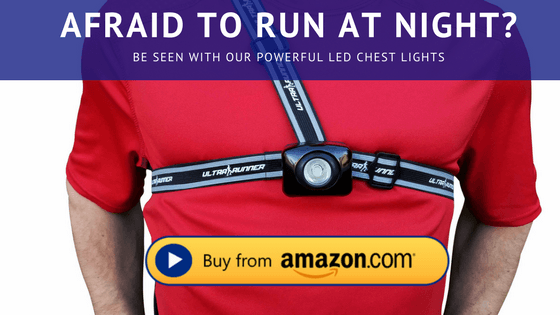 What Is a Running Strobe Light? A running strobe light is a small piece of gear you can wear while you’re running that will increase your visibility while you’re running at dusk or in full darkness. They can throw off a tremendous amount of light. That’s something every runner should get excited about because many of us have had close calls out there with motorists. Although distracted drivers can be a big problem during the day, night running seems to be even more dangerous. Not only can the drivers be just as distracted, but because the conditions are so dark, you often aren’t visible at all until it’s close to being too late. That’s where a running strobe light comes in. It makes you stick out, even in the dark. Imagine being a motorist and seeing this light on the side of the road. That’s definitely something you would notice, partially because you’d be wondering what it was. At first, you might not even realize there was a runner attached to it. But you’d absolutely see it, slow down, and try to figure out why there was such a strange light on the side of the road. Getting motorists to slow down and pay attention to you is every runner’s dream because it can potentially save their lives. What Should I Look For in a Running Strobe Light? A high-quality running strobe light should have several things that make it stand out from its competitors. 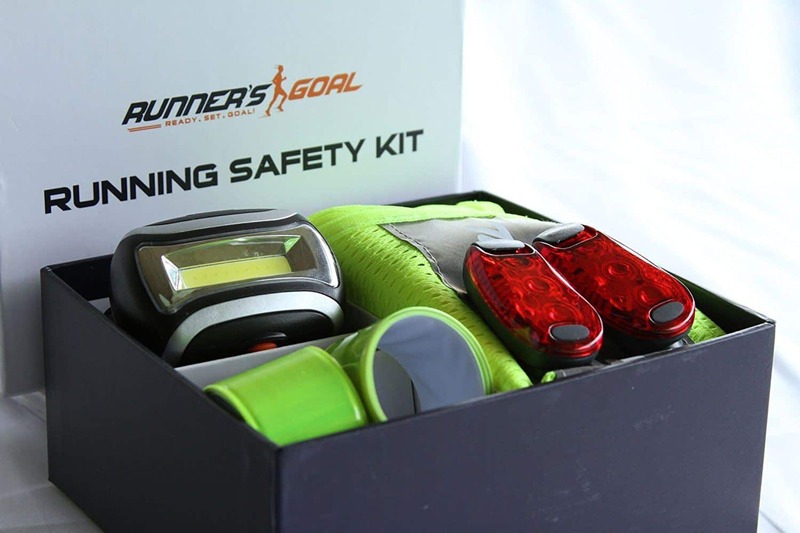 If you’re considering buying running strobe lights, you should first take a look at our Running Safety Kit on Amazon, which includes these lights as well as other essentials, like reflective gear and a headlamp. As you consider which strobe lights would be the best for your running purposes, here are some of the things you should think about. How long the battery lasts: I’ve used some incredibly cheap strobe lights during my early-morning and late-night half-marathon training runs. Sometimes those batteries, even when they hadn’t been used before, will quit during a run. You’ll want to find a strobe light that has batteries that work at least as hard as you do. How they fasten to you: You’ll want to find a strobe light that stays put. If it starts slipping during your run, it’s going to drive you crazy. And, if you’re feeling agitated, you won’t be able to enjoy the peaceful, therapeutic benefit of running. So, if you’re using a strobe light that clips onto your clothes, make sure it grabs tightly and doesn’t let go. How many come in a pack: Ideally, you’ll want to have more than one strobe light in the pack you buy. You might want to attach one to your front and another one to your back so you’re visible on both sides to motorists. That will give you more protection than just using one. How many modes they have: Some people find that bright, rapidly flashing lights can trigger headaches, especially if they’re prone to migraines. That isn’t a big deal for you if you attach the running strobe light to your back where you won’t see much of its effects. But if you wear one on your chest, it can be more of a problem. One way to lessen that impact is to find a light that has several different modes so you can use a solid light instead of flashing if you want. How the lights turn on: You want them to turn on easily, but you don’t want them to turn off mid-run if the power button is too trigger happy. The switch can make or break how you feel about your running strobe light. If they can take the rain: If you’re running on a rainy night, visibility is more important than ever. Motorists aren’t expecting to see someone running along the road in pouring rain. If you get a running strobe light that is water resistant, you’ll still be protected, even if Mother Nature decides to really put your training to the test. Lightweight: You don’t want to wear a light that’s too heavy because all that bouncing and tugging on your clothes will be too irritating. You should barely notice you’re wearing your light when you’re running. That’s the sign of a great light. 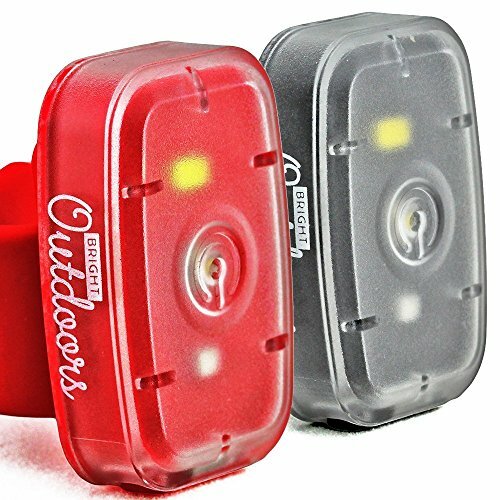 These little lights come in a two-pack so you’ll always be covered front and back during your runs. Plus, once the batteries die, you won’t be left unprotected. It comes with four extra batteries and a mini screwdriver, so you’ll be able to swap them out and get back on the road. These conveniently clip right onto your running clothes or belts––wherever you want to put them. They have three different lighting modes––steady, a slow flash, and a rapid flash. The batteries each provide up to 100 hours of light. They only weigh one-third of an ounce, so you won’t even feel them on you. These lights come with Velcro straps in case you need them. The clip stays on well, even when you’re running hard. Because they’re weather resistant, you can even use them in winter and rain, which is when you often most need to be wearing lights. The battery replacement can be pretty tricky because the screws are so tiny. Some runners said they wish these lights were brighter. The lights could be more durable, especially the hinge of the clip, according to some runners. This strobe light will keep your path lit for five hours of running when it’s on high power and 30 hours or more when it’s on strobe. You’ll get a lot of training runs in with this by your side. The light is water resistant, which is great when you run in less than desirable elements. 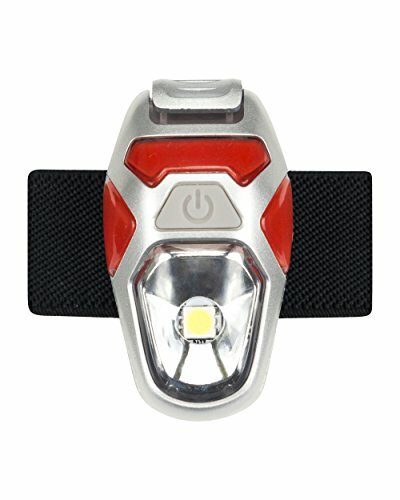 This light has a belt included so you can wear your light securely around your waist without having the clip slide off your clothes. With four LED bulbs, this light is powerful enough for really dark runs and for highlighting any hazards you’re about to run into. This strobe light is rechargeable on a USB port, which is great for runners who don’t want disposable lights and hate messing with changing batteries. It’s pricier than some other strobe lights, but it is rechargeable and that may save you money in the long run. Some runners have had issues with this light’s buttons not working well. Whether you like giving a product a test drive before you commit to buying too many of it or you like to go for it and get enough to meet your needs, this strobe light might be right for you. You can order a single light, or you can order it in a two-pack. You can put this light in a number of places, including clipping it to a hat, armband, clothes, belt, or backpack. You can use these as a flashlight or a flashing light, whichever works best for you. These are small––less than two inches long. They are USB rechargeable so you don’t have to worry about battery replacement. If you run with a stroller, you can clip these on the stroller so your baby is extra safe. They are affordable so you’ll have more money to spend on other gear and race entry fees. It has four different light settings. It comes with a Velcro armband in case you want to wear it that way. They can flash both red and white lights. Some runners have said the light’s button is difficult to push down. Some runners have had issues with the lights quitting permanently. This light is attached on a belt you wear. The light runs the length of the front of the belt and while you can wear it around your waist as you typically would with a belt, you can also wear it cross-body across your chest or back. The belt is adjustable in size and you can even request a free bonus extension belt for it, which is nice for larger runners because it can then fit waists from 29 inches to 80 inches. You can use this light on a steady mode, slow flash, or as a fast-flash strobe. In addition to the LED light, the belt has a reflective strap. The batteries provide more than 45 hours of light. Because it can adjust to a larger size, you can comfortably wear it over your jacket if you’re training in colder months. This light will make you highly visible to motorists, but it isn’t powerful enough to light your way. 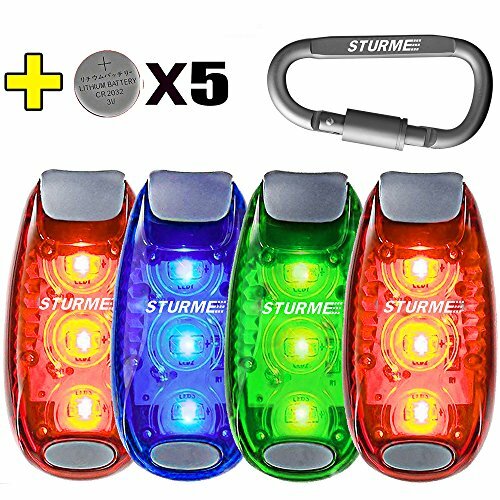 If you’re looking for highly affordable strobe lights that come in multipacks so you’ll always have one handy, you should check these Sturme lights out. These come in three- or four-packs so you’ll always have a spare. They are slim so they won’t jut out from your belt or your clothes. They have three illumination modes––a constant light, a slow flash, and a fast-flashing strobe. 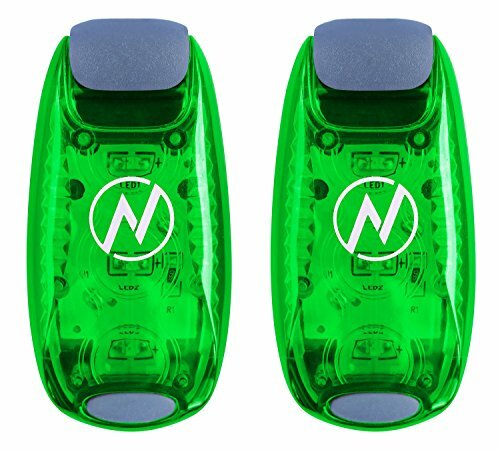 On steady mode, the batteries can last 70 hours, but on strobe mode they can reach up to 96 hours so you’ll have long-lasting lights for your run. These are highly durable with their stainless steel screws. They come with five extra batteries, two mini screwdrivers, four Velcro straps, and a carabiner. These are weather resistant so you can continue your rainy runs without fear. If you’re training for a triathlon, you can also use these on your bike for late-night rides. Some people complained that some of the lights didn’t work right from the beginning. The screws can be hard to remove when it comes time to replace the batteries. The Sturme strobe lights are the best running strobe light. While they are similar to many of the other strobe lights on the market, you can get a bunch of them for an affordable price. That means you can always have a spare ready to go; additionally, they come with a bunch of extra batteries. The three illumination modes are nice and we like that they are slim and comfortable to wear. You’ll be able to wear these during your training runs in the rain. They’re great all-purpose strobe lights, which is nice because you can start worrying more about your PR if you aren’t as concerned about your safety.